Today I would like to answer some of the most common questions concerning leaky gut. Below this FAQ, you will find a detailed article and protocole to fix that debilitating disease. Can Leaky Gut be cured? The simple answer is, that yes, Leaky Gut can be cured. It is important that those who suffer from Leaky Gut follow the recommended diet and take the necessary supplements to ensure that their Leaky Gut condition does not reoccur. It may take time to cure this condition, but it is possible. Can I heal just by taking supplements? While supplements are very beneficial, and even necessary to those who suffer with Leaky Gut, they alone cannot heal the condition. It is vital that you follow diets like the SCD diet or the Paleo diet, to ensure that you are not only preventing further deterioration of your intestinal lining, but that you are also healing the damage that has already occurred. Will my Autoimmune Disease disappear if I heal from Leaky Gut? It is very likely that any autoimmune diseases that you suffer from will disappear once you heal from Leaky Gut. It has been found that out of all of the 100 known autoimmune diseases, that all of them have their roots in Leaky Gut. In a study that was carried out on mice, it was found that increased intestinal permeability was found about one month before the onset of Diabetes. Once this intestinal permeability is under control again, these diseases become lessened and even disappear over time. Is it possible to cure Leaky Gut forever? It is possible to cure Leaky Gut forever, but it takes perseverance. You must adhere to the diet, without cheating. Cheating will only set you back in your recovery and will create a snowball effect that will eventually have you in the same boat you were once in. By following the diet specifically and taking your supplements daily, you can be free of this disorder forever. How can I cure Leaky Gut in children? The same factors that apply to adults, apply to children. The same diet will need to be followed, though since children are still growing, it is best to consult a nutritionist to ensure that the child is getting the proper nutrients and supplement amounts on the diet. The difficulty comes in the fact that children have a harder time adhering to the diet because they are so limited. Finding ways to create exciting foods and treats for them will help make the transition easier. What are the foods that I should avoid? You should completely avoid any foods that contain gluten and grains. These foods will increase the holes in your intestines, causing greater permeability and an increase in your Leaky Gut symptoms. You should also avoid lactose, vegetable oils, sugars, yeast, and legumes. While not a food item, you should also avoid taking NSAIDS, like Ibuprofen and Advil, as these can increase the hyper-permeability of the intestines. What foods help to cure Leaky Gut? There are no specific foods that can cure Leaky Gut, per se, even though some may help with the condition. Fresh vegetables and fruits are preferable over many other foods. Liver is an excellent source of protein and is a good food choice for Leaky Gut. Virgin coconut oil and yemeni sidr honey are also excellent food sources that can help towards improving your Leaky Gut. Omega 3s are extremely important in the diet of those who suffer from Leaky Gut. Fermented foods, such as sauerkraut are also good foods to eat on a regular basis. These fermented foods help to repair the good flora in the intestines. Is there a good cookbook that you recommend to cure Leaky Gut? There are no cookbooks that are really geared specifically to cure Leaky Gut, but there are some cookbooks that can help in providing you with recipes that will not add to your condition. It is important that you avoid gluten-free cookbooks, as these are often filled with unhealthy recipes that call for ingredients that can cause further symptoms with your Leaky Gut. It is best to stick with SCD/Paleo cookbooks. Though many of these cookbooks say that you can bake with almond flour, it is best to avoid these recipes and baked goods as much as possible. One of the best paleo cookbooks you can get is this one. Should I supplement with L-glutamine? Yes, you should definitely use L-glutamine supplements. Glutamine is one of the amino acids that your body uses to manufacture proteins. The small size of glutamine allows it to be easily absorbed through the cells. This has been proven to help in the healing process of the tight junctions of the intestines. I like this one very much (hundreds of positive reviews). I personally take these probiotics. For my lactobacillus acidophilus, I eat lots of homemade fermented foods. It has been proven that when sauerkraut is well prepared, that it is much more potent than any lactobacillus acidophilus probiotic supplement. How long does it take to cure Leaky Gut? It will take several months before you can cure your Leaky Gut. This can only occur when you follow the recommended diet and take your supplements without cheating. You may begin to see results sooner, but for complete healing to occur, it will take at least several months, if not more. Is there a faster way to cure Leaky Gut? There is no faster way that I am aware of at this time. Keep in mind that your condition did not develop overnight. You have most likely been eating offending foods for your entire life. Six to seven months of healing is not that long when you consider the amount of damage that your intestines have faced. Have you heard about Edgar Cayce’s protocol to cure Leaky Gut? I have heard of this, but would not label it as a protocol. It was simply some advice that he gave to one patient, for their specific needs. It does not mean that it works with every Leaky Gut patient. Does the “Leaky Gut Cure” book by Karen Brimeyer work? This book appears to offer good advice for Leaky Gut patients. It does appear to work most of the time, IF you follow her 4-step process to the letter and do not allow yourself to cheat. Where can I buy the “Leaky Gut Cure” program? The price on the official site is $39.95. Beware of sites that claim to have discount codes, as there are no discount codes available. Purchasing through these sites may cause you to experience scams that will leave you paying for the product and never receiving the program. You may also be in danger of downloading an unofficial or outdated version. It is best to go through the official site when ordering the program. Click here to buy the official version. Two thousand years ago, Hippocrates spoke very wisely when he said, “All disease begins in the gut.” This is something that the medical community is finally realizing as a fact. How can you Prevent it from Occurring? Leaky gut is a common term that is used in place of a fancier medical term, called hyperpermeable intestines. While much of the medical community has yet to embrace leaky gut syndrome as a definitive diagnosis, mounting evidence suggests that this condition is real and more and more medical professionals are realizing that it is, in fact, a true medical problem. Though much is still not understood about the gut and how it affects the body, more is being learned about the true necessity of having a healthy gut. Without the gut working properly, the body is more open to the dangers of illness and disease. Leaky gut is a condition that causes the tight junctions that are in the gut to no longer work as they are supposed to. These junctions become widened due to different causes and allow molecules to pass through the intestinal lining and straight into the bloodstream. 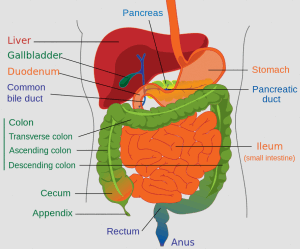 The intestinal lining is the first defense line in the body. When it is working properly, the junctions remain tightly closed, to prevent molecules from the food being digested from freely passing into the blood. The lining acts as a screening system and only allows certain molecules to pass through. When the lining becomes damaged, the junctions develop gaps in them. The condition allows molecules to freely flow into the blood before they are screened. This means that many foreign objects are released into the blood and they then enter the cells, causing massive problems in the body. The condition of leaky gut causes toxins, bacteria, yeast, and undigested proteins and fats to be released into the blood and then into the cells. Once these foreign bodies have been released into the blood and reach the cells, they cause massive inflammation. This inflammation causes further stress on the body, triggering autoimmune reactions. The liver begins to work overtime, trying to filter the foreign bodies. Once the liver is overworked, the immune system is compromised and cannot keep up with all of the needs in the body. Eventually, the body begins attacking its own cells. As the body begins to fight against itself, many different autoimmune conditions can manifest. Leaky gut syndrome can cause many different conditions to occur in the body. The beginning symptoms are normally mild and can include gas, bloating, cramps, and some food sensitivities. As the condition progresses, joint pain, skin rashes, and autoimmune diseases begin to occur. Chronic diarrhea and/or constipation– While this can occur with other gastrointestinal conditions, it is almost always found in leaky gut patients. People may suffer exclusively from one or the other, or they may suffer from both, with some days having diarrhea and some days being constipated. Headaches– Chronic headaches are often a major sign of intestinal distress. As toxins and bacteria are released into the blood stream, they can cause headaches that range from mild to severe. Those who suffer from these headaches may notice that certain foods may cause the headaches to become worse. Brain fog– Cognitive dysfunction, commonly known as brain fog, is defined as having poor mental functioning that is often accompanied by confusion, difficulty concentrating, and forgetfulness. Memory Loss– Many people who suffer from leaky gut syndrome have a terrible time with their short-term memory. They forget easily and have trouble remembering certain facts. Excess fatigue– In today’s busy world, most everyone becomes fatigued at some point. Excess fatigue means that you are tired more often than not. The symptoms of this degree of fatigue often interfere with day-to-day activities, causing a drop in activity. Tissue inflammation– In this condition, inflammation can occur throughout the body. With inflammation comes swelling. The body may become more bloated, and there may be mild to severe swelling in the limbs. Toxin buildup– The signs of toxic buildup can be fatigue, headaches, body odor, insomnia, and food and chemical sensitivity. As the toxins begin to flood the body through the widened junctions, these symptoms increase in severity. Candida– A person who suffers from chronic candida infections normally has an overgrowth of yeast in the body. The symptoms of yeast overgrowth can cause vast cravings for breads and sugars, as this is what the yeast feeds on. Anxiety– Feelings of anxiousness can occur at any time in a person’s life and do not always indicate that there is an underlying problem. In leaky gut syndrome, anxiety is greatly pronounced and can often become severe. Eczema– Also called ectopic dermatitis, this skin condition causes an inflammation of the outer layers of the skin. Symptoms include dryness, flaking, blistering, cracking, oozing skin, and sometimes bleeding. It has been found that eczema occurs three times more often in people who suffer from gastrointestinal conditions. Psoriasis– This skin condition is characterized by skin redness and irritation. The main sign of psoriasis is the thick and scaly patches that occur on the skin. This skin condition is normally more severe in people who have compromised immune systems. Thyroid conditions, such as the autoimmune disease Hashimoto’s thyroiditis, in which the thyroid gland is attacked by the immune system. It can cause bouts of hypothyroidism and hyperthyroidism. Mental Illness– Mental illness comes in many forms and the range is too broad to even list the various possibilities. While mental illness is not always a sign of intestinal issues, when accompanied by other symptoms, can be a warning sign. Depression– Depression normally has a variety of causes. It can range from mild to severe and results in a feeling of having the blues or feeling down. Heart Failure– This is the most serious sign of leaky gut syndrome, and often occurs after the gut has been leaking for years, with no treatment. Heart failure symptoms include fatigue, breathlessness, edema, mental confusion, cough and wheezing, and a lack of appetite. Leaky gut syndrome can also affect other gastrointestinal conditions. Crohn’s disease and Celiac disease can both be worsened or triggered by leaky gut. Rheumatoid arthritis and asthma can also be triggered or worsened by the condition. It has also been found that many autistic children suffer from leaky gut syndrome. Researchers are searching to make the connection and understand the implications of what this might mean. Through this research, it is hoped that a greater understanding will take place in what this means for autism treatment and prevention. Most health professionals who work with leaky gut patients advise that food sensitivities are a big warning sign. When a person suffers from more than twelve food sensitivities, this normally means that leaky gut is an implication. Diet plays a critical role in the development of leaky gut syndrome. The perfect recipe for leaky gut involves a diet that is high in sugars, processed foods, high fructose corn syrup, milk products, cereals, and potatoes. Since much of the world’s diet is now high in these foods, leaky gut is on the rise. Those who drink large amounts of alcohol are at a greater risk for seeing the symptoms of leaky gut. Processed and preserved foods also play a large role in the syndrome’s development. Flavorings that are put into foods are wreaking havoc on the intestinal linings of the body, creating problematic issues very quickly. Other causes of the malfunction of the gut include, taking NSAIDS in high doses, radiation treatments, antibiotic use, parasites, and infections. Many different substances, foods, and illnesses can cause the reaction of inflammation in the body. As inflammation occurs, the lining becomes damaged and the junctions begin to gap and widen further, resulting in the leaking disorder. Chronic stress can also be a big factor in the development of the condition. With most people living busy and stressful lives, the incidence of leaky gut syndrome is growing. Stress causes many problems in the body, especially inflammation and a lack of immune response. As the body becomes more and more inflamed, the gut is damaged and symptoms begin. Those who suffer with low levels of stomach acid are also at a greater risk for leaky gut. This causes inflammation in the intestinal tract and leads to irritation. As the intestines and bowel sustain more wear and tear, the syndrome continues to worsen. Yet another cause of leaky gut is candida. Yeast is normally present in the body and on the surface of the skin. It is also found in the gut. The yeast levels are normally kept under control by the good bacteria in the body. As the body systems become compromised due to illnesses, medications, or disease, the levels of good bacteria are lessened, allowing the overgrowth of yeast to take place. As this occurs, the yeast take over the gut and begin to invade every part of it, causing damage to the lining of the intestinal tract. A high grain consumption has also been linked to the syndrome. Grains contain gliadin, which is a glycoprotein that is found in wheat. Gliadin increases the production of the intestinal protein zonulin. This increase causes the gaps to widen, and increase in prevalence. Along with these other causes, a lowered zinc level in the body can cause this syndrome to occur. Zinc is a critical micronutrient in the maintenance of the intestinal lining. Zinc helps to stabilize the cells that form the protective lining in the gut. A zinc deficiency can cause vast inflammation in the lining. It has been found that the more severe the inflammation, the greater the deficiency of zinc. Since many physicians, especially in the Western world, do not recognize leaky gut as a true condition, it can be difficult finding a doctor who can diagnose the syndrome. There are tests that can effectively measure the permeability of the intestinal lining, but these tests are not often used to check for the condition. Most physicians make a leaky gut diagnosis based on the symptoms of the patient. Many people who are diagnosed with the condition end up seeing a holistic physician to get their diagnosis. A full history is taken from the patient to find out what could be causing the symptoms that are being experienced. The physician works from this history base and is able to make a diagnosis based on the symptoms that are being experienced. Most of the time, a diagnosis will only be made after a person insists that something is wrong. For people who have several of the symptoms of the condition, it is vital to communicate with doctors and insist that testing be done. The testing that can be carried out for leaky gut syndrome includes checking for high levels of antibodies to some of the common food proteins. High levels of antibodies to normal intestinal bacteria can also be a great indicator. Recently, health professionals have begun using a type of challenge test that involves the use of a special solution that is created from two types of sugars. The two sugar levels are measured through a urine sample. Healthcare professionals almost always test for Celiac disease as well, since these two often accompany one another. There are a variety of theories on what the best course of treatment is for leaky gut syndrome. While some believe that diet alone can help to heal the problem, most believe in more of a combination treatment that not only allows the gut to heal, but combats the symptoms that are caused by the syndrome. In most studies, it has been shown that combination therapy is more effective against the condition. Though it can take time, healing from the syndrome is possible. Changing your diet can greatly decrease the symptoms of leaky gut. By eliminating the triggers of the condition, many people are finding both relief and healing. It is important to remove sugars, processed foods, high fructose corn syrup, milk products, cereals, and potatoes from the diet. When removing these items from the diet, many people are trying to go back to simpler days and embracing a Paleo-type of diet. By consuming whole, unprocessed foods, vegetables, and organic meats, leaky gut sufferers are achieving great results. This type of diet starves excess yeast in the body and reduces inflammation, allowing the damage to begin healing. It also eliminates many of the irritating foods, leading to fewer immune reactions. By keeping the diet simple, healing begins to occur over time, and the toxins and inflammation in the body are reduced. Many people are also finding luck in using the SCD diet or Specific Carb Diet. On this diet, only monosaccharide carbohydrates can be consumed. Unlike the other forms of carbohydrates, this carb does not require an extra step for digestion. This diet helps to break the cycle of excess yeast and bacteria in the body. It also helps to fix the good flora numbers in the body, allowing the damaged areas of the gut to heal. Along with the different diet options and eliminations, there are some food items that can be added to the diet to help the leaky gut heal. Adding fermented fiber, such as yams, sweet potatoes, and yucca, can help to bring healing and balance the bacterial levels in the body. Kefir, yogurt, and kimchi can also be consumed with promising results. Nutritional support is also important for the healing of leaky gut syndrome. Since this condition often causes the body to experience malabsorption issues, it often means that the body is severely lacking in key vitamins and minerals. It is important for sufferers of the condition to take a good multivitamin to help replace what has been depleted and aid in the healing of the body. Other supplements should be taken as well. Vitamin D has been shown to aid in the healing process and should be taken on a daily basis. Zinc supplements are also a must for rebuilding the intestinal lining and keeping it strong. Along with these supplements, it can also help to take essential fish oils, like Omega 3 supplements. Probiotic supplements are also vital to help in the healing process. It is important to understand that not all probiotics are the same. If possible, the non-dairy source of probiotics should be used. This will offer the best benefit, without the risk of inflammation and reaction due to the milk product it was produced from. The most important probiotic to choose is lactobacillus acidophilus. Probiotics help the natural flora, or good bacteria, to be replaced so that the bad bacteria can be removed. Digestive enzymes are also used in the treatment of leaky gut syndrome. These enzymes help to aid in the digestion of foods that pass through the body. They are naturally found in raw fruits and vegetables, but in the beginning stages of healing, it can be difficult for the leaky gut sufferer to consume foods in raw form. Until further healing takes place, it can help to take digestive enzymes in capsule form. Though they are not as effective as gaining them from raw foods, they can still be of great help. How can you Prevent Leaky Gut from Occurring? While it is not possible to fully eliminate the dangers of leaky gut, there are ways to help remove much of the risk and keep the intestines healthy. By keeping the diet healthy and taking vitamins and supplements, many people are able to avoid the condition. It is important to understand that medications can cause the condition. NSAIDS should be avoided as much as possible. Antibiotics should be taken only when absolutely necessary. When it is necessary to take them, probiotics should be used to reverse their effects of destroying the natural flora of the body. Avoiding alcohol can also help to prevent the condition from occurring. By avoiding any known triggers, the chance of having to deal with the syndrome becomes lessened. It takes a balancing act to make it happen, but avoiding this condition is possible. If you believe you are suffering from this condition, it is important to get a proper diagnosis. You are your best advocate when it comes to your health. If your doctor will not address your concerns, you need to find one that will. There are many different types of physicians and holistic medicine practitioners. Instead of dealing with the symptoms alone, you can receive the help that you need to recover. Complete healing will not happen overnight, but with the right diet, supplements, and lifestyle changes, you can see improvements begin to take place in your health very quickly. One of the best tests for diagnosing leaky gut is Cyrex’s Array II test. I had it done recently and it confirmed what I had suspected – I definitely have leaky gut. It was reassuring to know that I wasn’t just guessing anymore, and it will be a good benchmark to see if I’ve been successful in improving it. I’m working with a holistic doctor, I’ve been Paleo for a year and a half, and I’m looking into the possibility of a connection between oxalates and leaky gut. there is also an intestinal permeability test. not sure if it works as im still waiting for the lab results. accesa labs and true health labs sell it online. idea is you drink a solution of two sugars…collect urine over six hours…send results back…if sugars are high in the urine samples then high probability for leaky gut.